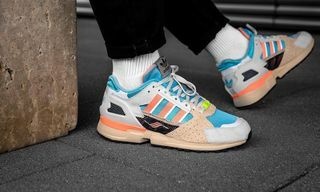 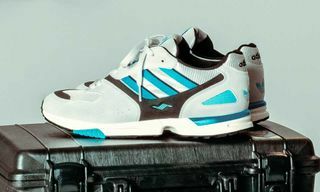 Key Features: The upper of the ZX 10,000 C has been saddled on an adidas Equipment Cushion 91 sole, which was commonly found in adidas’ Equipment series, cementing a connection between two different concepts that shaped the brand with the three stripes in the 1990s. 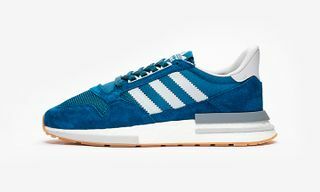 In addition to the Torsion system which is present in the 10,000C, mesh underlays, webbed Three Stripes, premium suede overlays and reinforced TPU on the ghilly and heel have been used. 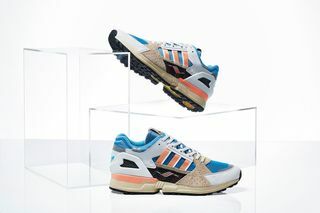 Editor’s Notes: After teaming up with Berlin-based retailer, Overkill, on a “Best Of” ZX-themed release, adidas Consortium gives its brand new ZX 10,000C silhouette a wider reveal. 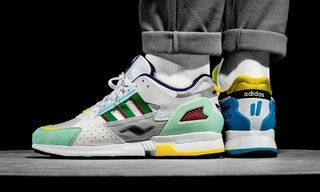 Designed with input from the original designer of the ZX range, Jacques Chassaing, the ZX 10,000C represents the next chapter in the iconic ZX lineage. 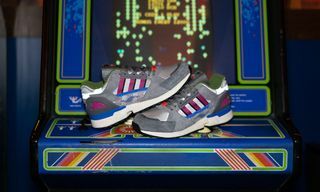 The ZX line originally ran between 1984 and 1989 before being replaced by the Equipment (EQT) range. 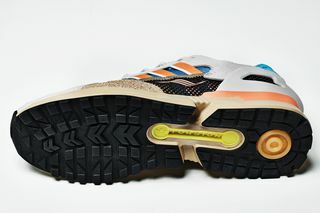 adidas’ Torsion system played a key role in making the ZX line as popular as it was. 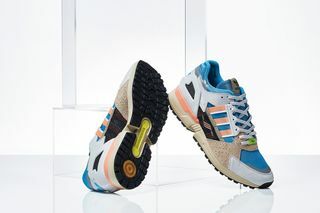 Proving its importance to high-performance functionality, the technology, which uses a TPU arch to bridge the heel and forefoot allowing them to move independent from each other, is still in use in many of the Three Stripes’ sneakers to this day. 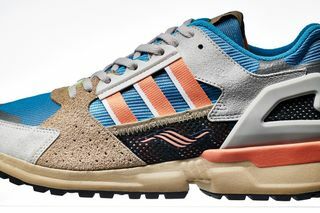 Look for the adidas Consortium ZX 10,000C to drop at global Consortium retailers today, February 23, for $160.